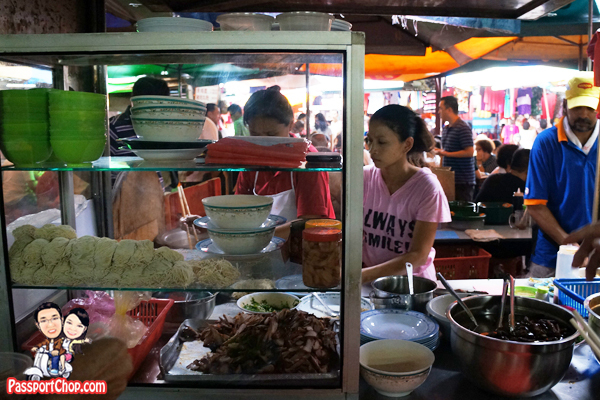 Besides the 4 “Kees” that I introduced on the Top 4 Kuala Lumpur restaurants to check out in the previous blog post, another must-visit for foodies in Kuala Lumpur had to be the Imbi Market. The official name of the market is Pasar Baru Bukit Bintang but from our interactions with the locals, it seems they know it better as Pasar Imbi. Imbi Market is quite near the Bukit Bintang area – about a 10-minute walk away but if you are unfamiliar with Kuala Lumpur, I suggest taking a taxi; however as pointed out in my blog post on Kuala Lumpur taxi scams, you can expect to be charged a high fixed fee for the journey. For our journey from Grand Millennium Kuala Lumpur (in the heart of Bukit Bintang) to Imbi Market, the taxi driver had tried to charge us a fixed fee of RM 20 but we insisted on metered fare which eventually added up to only RM 4! 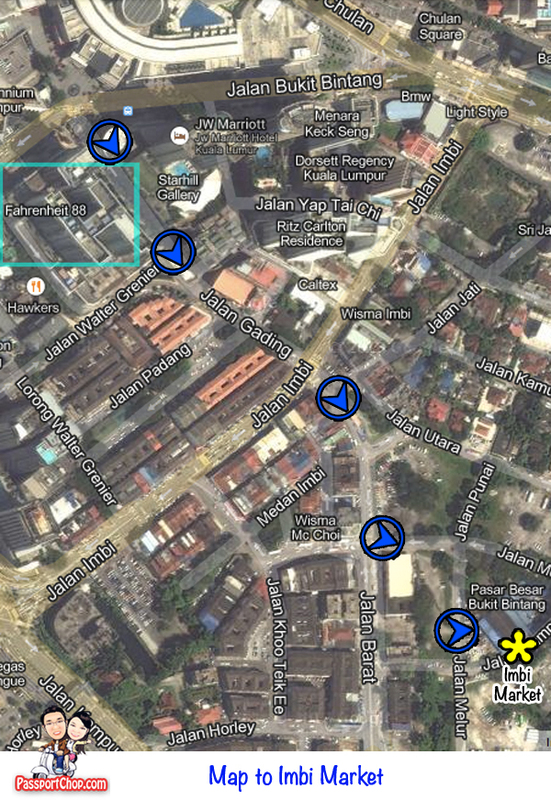 I have included a map towards the end of this post for a simple walking route from Bukit Bintang to Imbi Market. 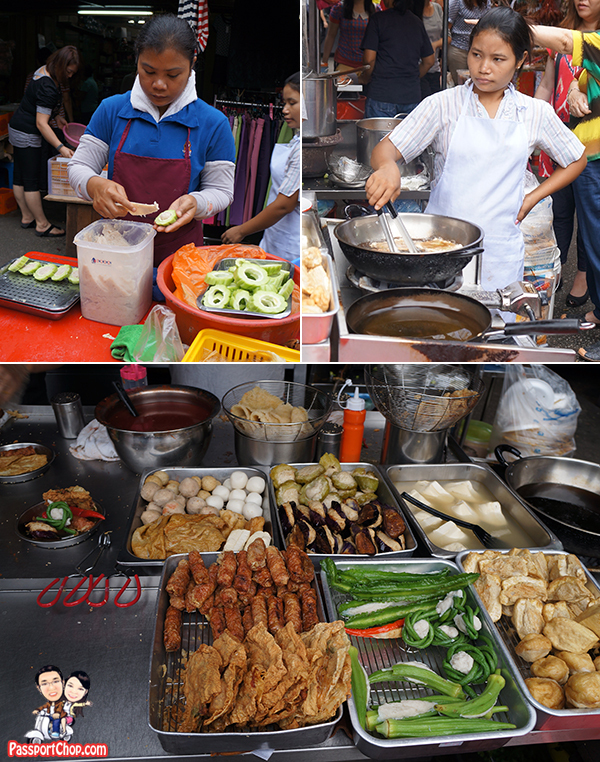 The Imbi Market comprises 2 parts – the wet market (where locals comes to buy vegetables and meat for their daily home cooking) and the hawker food part where you can find some of the best Kuala Lumpur food. The market starts early in the morning at around 6.30am and closes around 12pm to 1pm. The best time to be there for the food that I am going to recommend below is around 8.30am to 9am when most stalls are open and it is not as crowded (read: long queues). 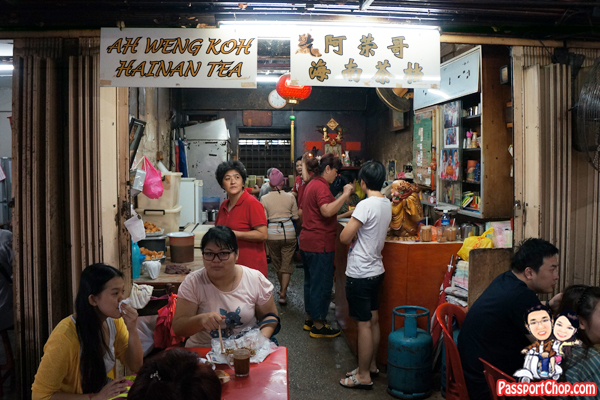 As Imbi Market can be quite crowded, finding a table can be quite challenging so make that your first priority – find a table and order Hainan Tea from one of the Ah Weng Koh Hainan Tea stall helpers (just look out for those serving cups of Hainan Tea and call out to them your order). You might hear some people ordering Hainan Tea and others ordering Hainan Coffee; actually it is the same drink. Ah Weng Koh Hainan Tea is actually a blend of coffee and tea with milk – also known as ‘cham’ in other kopitiams or coffee shops! Usually, customers will order their breakfast set comprising the Hainanese Tea, 2 half boiled eggs and 2 pieces of toast. But since we are here to check out what else Imbi Market has to offer, we will save our stomach space for other food! 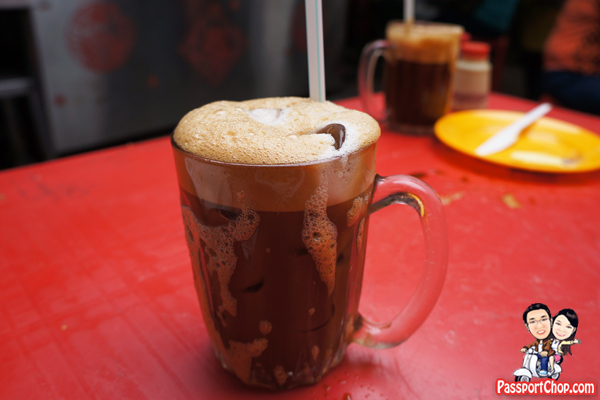 The Hainanese Tea/Coffee (RM 1.60) is very aromatic and thick and it comes with a layer of thick frothy foam (see picture below). I am not a coffee drinker because I didn’t like the bitter taste of coffee. However, I finished every single drop of the Ah Weng Koh Hainanese Tea I ordered because it didn’t taste bitter at all and it has a smooth and sweet taste – a perfect morning drink to start the day. You might have seen SisterS Crispy Popiah brand in some shopping centre foodcourts. Those are franchises of SisterS Crispy Popiah at Imbi Market that started it all. You can expect long queues at this SisterS Crispy Popiah stall. 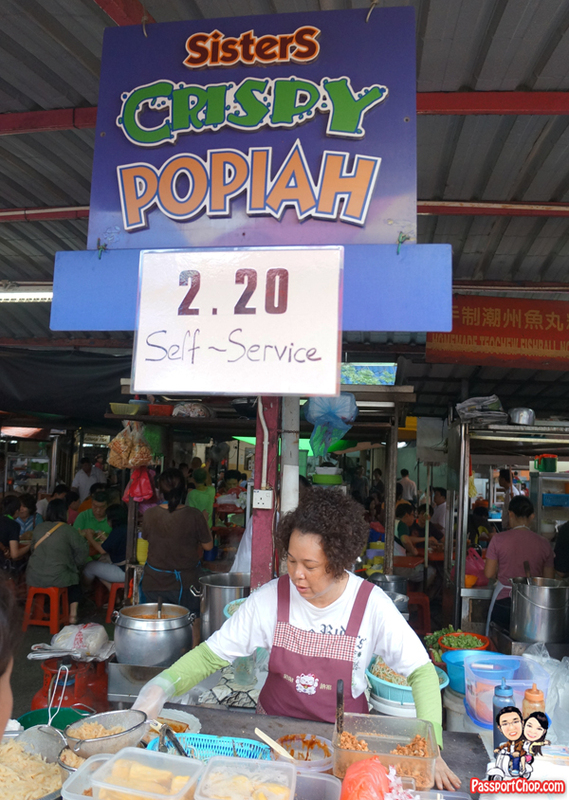 Here you can see Mei Lim (I assume is one of the sisters who started this SisterS Crispy Popiah) whipping up the fresh popiah (RM 2.20 each). The queue at SisterS Crispy Popiah at Imbi Market is long but the popiah lady works very fast – you can see her skillfully multi-tasking putting different parts of the popiah before rolling it all up within seconds! 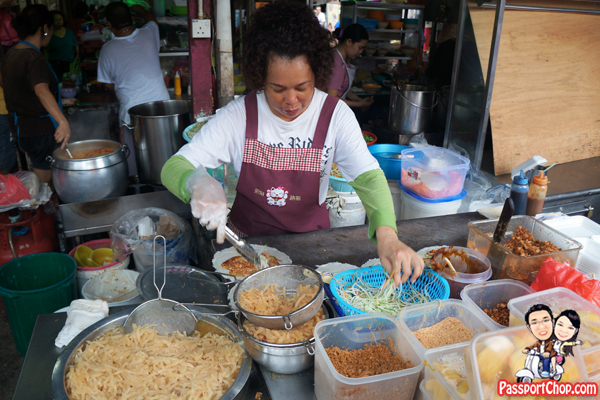 I have noticed that the locals typically order about 3 or more popiahs – only goes to show how popular her popiah is. 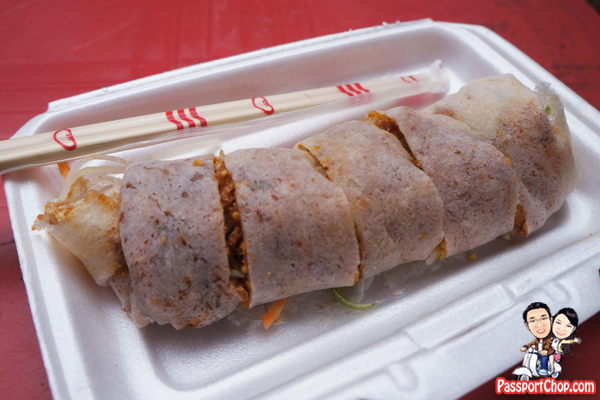 As the name suggests, the popiah is really crispy. It is the best popiah I have ever tasted. During her preparation of the popiah, I spied a rich selection of ingredients from sweet sauce, lettuce, fried shallot crisps, shrimp and many others that I can’t recognised. Definitely worth trying and it is only RM 2.20 for quite a large popiah! Ah Fook Chee Cheong Fun stall typically sell out their chee cheong fun by 11am. You can expect long queues at this stall. It is just beside the SisterS Crispy Popiah stall so you will find that this area of the Imbi Market is always very crowded. The stall actually sells both chee cheong fun and yong tau fu; for the latter, there is a selection of deep-fried items you can select from. 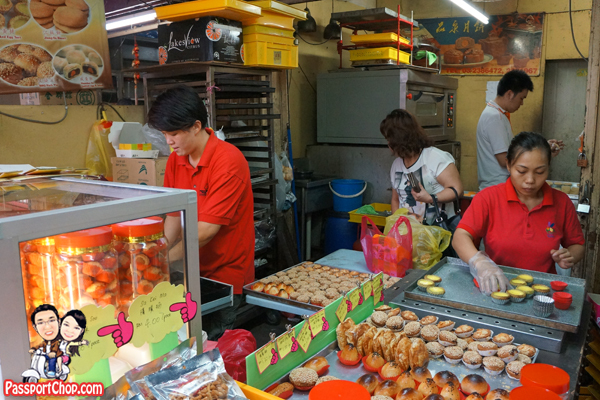 Almost all the yong tau fu items are freshly made on the spot (as seen in the picture below – the stall owner’s assistants are preparing the yong tau fu and deep-frying the prepared yong tau fu). I recommend the crispy beancurd skin. 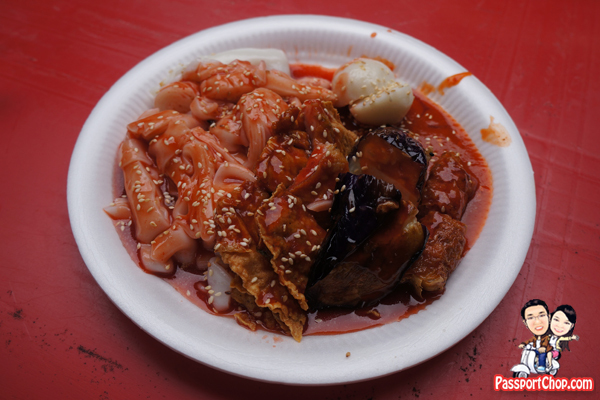 You can select as many items as you like to eat with your chee cheong fun. Price depends on number of pieces selected but it is still quite cheap. We ate this chee cheong fun with yong tau fu with a generous serving of sweet sauce, chili sauce and sprinkling of sesame seeds (as can be seen in the picture below) but you can request for a smaller serving if you are health-conscious. 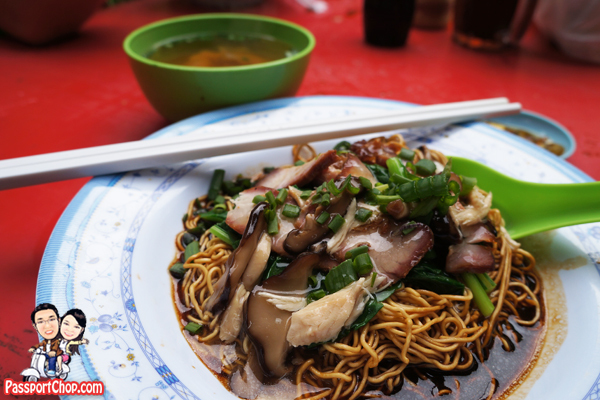 If you crave for wanton mee, you can order Wanton Mee from Sam Kee in Imbi Market. Wanton mee cost RM 5.50 for small serving and RM 6.50 for big serving. They also sell chicken feet with mushroom noodle and dry curry chicken noodle. You can order your noodle from the stall and they will deliver it to you. The noodles are very “Q” – each strand of the noodles are not too hard and cooked just right – very smooth. The wanton and char siew also tasted really good. For dessert, you might want to consider Bunn Choon egg tarts – all the egg tarts are freshly made from a huge oven in the shop. Besides egg tarts, they also see many other small dim sum items e.g. BBQ Pork Pie, Almond Tart, Kaya Puff, Pineapple Stick, Chicken Pie. 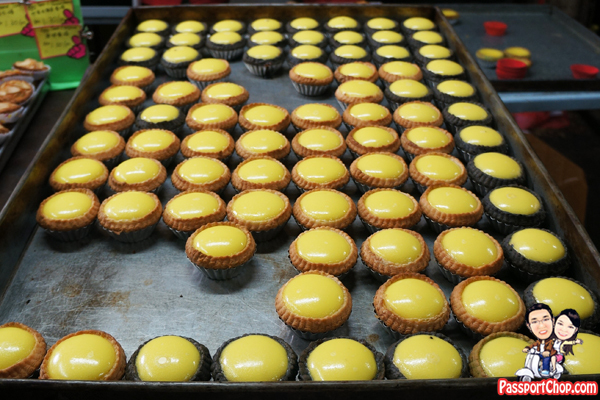 This family-run business had been around for over 100 years and there are quite a number of newspaper clippings about Bunn Choon egg tarts so they are a must-try! The picture below shows the fresh egg tarts right out of the oven. 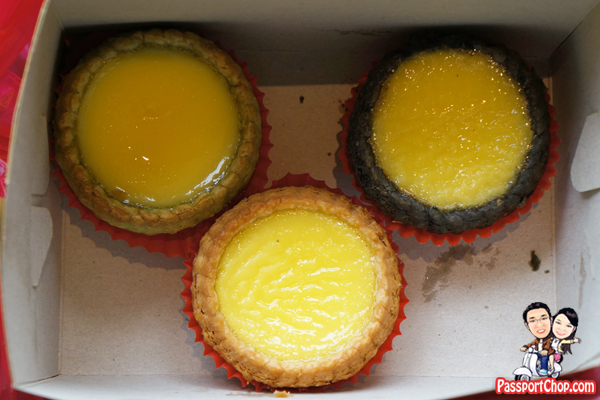 Bunn Choon’s egg tarts are smaller than typical egg tarts you find in bakeries but still they tasted really good. These plates of egg tarts are typically snatched up within minutes after they are out of the oven so expect long queues at Bunn Choon too. 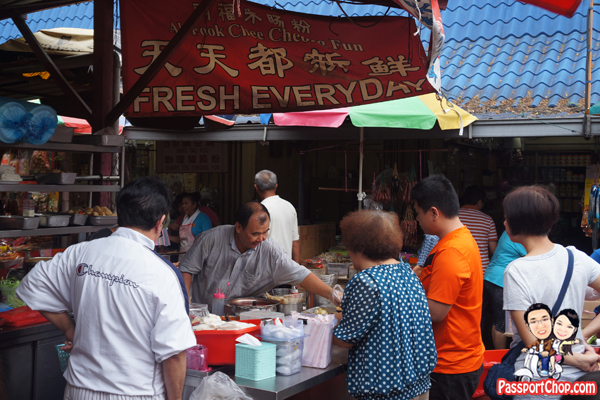 If the queue is long, you can consider making your order first and then collecting your order after you have finished your food trail around Imbi Market. The Bunn Choon egg tarts come in 3 flavours – Original (RM 1.50/piece), Green Tea (RM 1.70/piece) and Sesame (RM 1.70/piece). The map below shows my suggested walking route from the heart of Bukit Bintang (using Fahrenheit 88 shopping centre) as a reference point. The walk will take about 10 minutes and is quite an easy walk on flat ground. Alternatively, you can take a metered taxi to Imbi Market (about RM 4). Opening hours: 6.30am til noon Tuesdays to Sundays. Closed Mondays. Thank you for your great and helpful trips! I am so blessed to chance upon your blog!